Home→Moon & Sun Series→Just finished the first draft of The Owner’s Tale — Moon & Sun 3 on deck. Just finished the first draft of The Owner’s Tale — Moon & Sun 3 on deck. So. 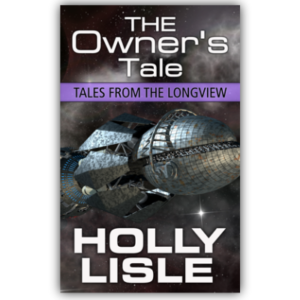 Just now the first draft of The Owners Tale, the LAST episode in Tales from the Longview. Wrote the final thousand-ish words this morning and part of this afternoon, and for now, at least, I like the ending. I’ve printed off the manuscript (in 12 point Courier, double-spaced and with large margins, of course) where it will sit on my desk for at least one week to cool off. I like a lot of stuff when it’s still hot that I can see problems with once it’s cooled off. After it’s cooled for at least a week, I’ll go in, do a read through and a revision, and then hand off to Matt, who will do my content edit. I want to wow him. He already figured out a part of how it will end (he’s just that good). But he doesn’t yet know why. That is where I want to really bring this home. This is a story I’ve been working towards for a long time, through a lot of books. This is the story I’ve pulled from dark corners and bad spots in my own life, from the lives of family, from the lives of other people who have not always had things easy. It’s not personal, not any sort of roman á clef. But through the fiction of the characters, I did manage to hit some things I’ve never been able to work into fiction before. So here’s the process once I get through the revision. I hand off to Matt. Matt points out all the places where I got it wrong, where I missed what I was going for, where I failed to give the characters the proper respect. I go in and to an editor’s revision. I ask for a few folks to bug hunt THAT version. I make corrections from the bug hunt. I publish the final episode. And then I start into Moon & Sun 3: The Emerald Sun. I’m not going to rush through writing the final book in the series. In the episode of Alone in a Room with Invisible People that Rebecca and I taped yesterday (Episode 13: Plotting VS. Pantsing, which will go live TOMORROW — Tuesday, Oct. 16th) I talk a little bit about why. I haven’t read the first two books in years, and I have to step back into that world. I’m a visceral writing. I write from inside my characters, doing my best to become them while I’m writing. So I have reacquaint myself with the nuances of these folks, both good and bad. Walk through the concept map I drew for Book 3. Remember how to step back inside those characters, and become again the girl at the end of childhood who has had the weight of her world land on her shoulders, and who, with a brother she sometimes fights with, friends who aren’t as reliable as one would hope, and a cat who’s lying through his teeth about who he really is, has to save her people from destruction. If she doesn’t do it, no one will. I’m hoping to be able to announce the start of the novel around or shortly after Christmas of this year. I expect that I’ll need about a year to write and revise it. I cannot GUARANTEE that’s what I’ll need, because I’m not just doing one book these days. I’m doing a book, classes, forums, and other things that are possible with the Internet. Life was simpler in the days of just print publishers and just answering snail mail letters from fans a few times a year. But cooking on a wood stove and dumping a honey-bucket in the midden downriver from your house were simpler, too. Been there, done that. Simpler is not always better. Vive la Internet! Amen! Looking forward to reading the final for the Longview series. Congrats so glad to hear that you did.